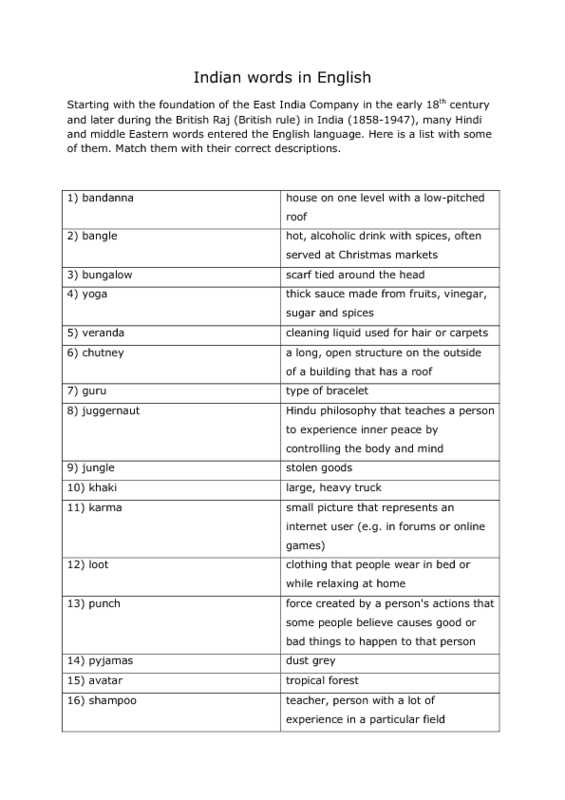 This is a list of English words with Hindi origin. Pupils have to match the words in the left column with the corresponding definitions in the right column. 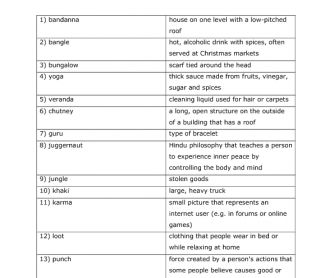 The words included are rather common nouns like bungalow, veranda, juggernaut, loot, avatar, jungle, pyjamas or karma.